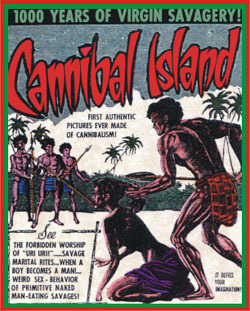 (1931 aka CANNIBAL ISLAND) The first talkie dealing with Cannibalism. Savage marital rights, native sexual behavior, and sacrificial ceremonies are just some of the light topics covered in this obscure docu-drama. Considering its age, this is actually a very interesting film curio. 16mm.